Mike Dixon, of the record label Major League Productions (MLP), by his own admission doesn't know much about jazz, but he does know what he likes. This recordingspanning over 100 minutes of a recorded-for-radio Nucleus concert at Britain's Loughborough University in February 1976, and acquired by MLP as a "saved from the skip" jobis a perfect example of Dixon's excellent acumen. Amazingly, the recording's sound has not been impaired one iota despite the thirty year hiatus. Wisely, MLP decided not to cut any of the original playing time and the album is thus the first double CD to be produced by the company. It's a brave move for a small and relatively new record label which hitherto has specialised in prog-rock. 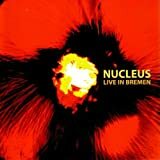 On hearing the CD for the first time, the Nucleus enthusiast's high expectations will be more than realised. This is the mid-period band at the top of their game. In 1974 leader/trumpeter Ian Carr surrounded himself with a new clutch of excellent musicians to record Under The Sun (1974), Snakehips Etcetera (1975), and finally Alleycat (1975), the last recording for the Vertigo label by the band. 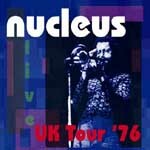 UK Tour '76 is a recording of the tour which promoted the then newly released Alleycat. The first disc kicks off with a rousing version of the title track from Snakehips Etcetera, with solos from keyboardist Geoff Castle and Carr. Bass guitarist Roger Sutton's "Phaideaux Corner follows, with energetic soloing from saxophonist/flautist Bob Bertles, a short drum break from Roger Sellerswhose playing throughout is deft and vibrantand some nifty Moog synth work from the ever-inventive Castle. The final track on disc one, "Alleycat, features particularly expressive trumpet from Carr and then a standout seven minute solo by guitarist Ken Shaw, who is playing on this double album better than he has ever been heard before. Some lively saxophone from Bertles introduces the first track on the second disc, "Nosegay, followed by more electric piano from Castle, who sounds almost Hancock-esque at times. Next up is "You Can't Be Sure, with a duet from Carr and Shaw, whose guitar soloing segues into the aptly named "Pastoral Graffiti from Under The Sun, on which there is some excellent flute work from Bertles. The penultimate track of the album is one of the funkiest tracks to be heard outside of Headhunters territory. "Splat" is initially dominated by Sutton's raw, almost violent bass guitar riff, but is continually punctuated by subtle and intelligent ensemble playing by the band. Shaw is also heard again along with Castle playing alternate fours, whilst all the while Bertles and then Carr are heard soloing, individually and then together. The final track, the Sutton-penned "Alive And Kicking, from Snakehips Etcetera, starts with a fretless bass solo from the composer, building up over its six minutes into something of a frenzy, after which Bertles takes the mood down several notches with some quiet soprano saxophone in which he even manages to quote the unlikely "It Ain't Necessarily So. There's more fluid guitar from Shaw, whose nimble finger work seems to warm up progressively during the concert. The track is brought to a close by some mellifluous trumpet from Carr and the concert itself is concluded by the equally mellifluous voice of the maestro himself, introducing the band members and wishing the audience goodnight. This is a spectacularly good album of material from a hitherto sparsely documented period in this innovative band's life. The various announcements by Carr and the audience applause throughout the album help to preserve both the integrity of the recording and the genuine feel of a live concert. It is not an exaggeration to say that this may prove to be the best and most consistent live album yet heard by this band. Tracks: CD1: Snakehips Etcetera; Phaideaux Corner; Alleycat. CD2: Nosegay; You Can't Be Sure/Pastoral Graffiti; Splat; Alive and Kicking. 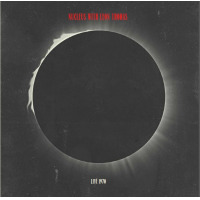 Personnel: Ian Carr: trumpet; Bob Bertles: alto, baritone and soprano saxophones, flute; Ken Shaw: guitar; Geoff Castle: keyboard, synthesiser, percussion; Roger Sutton: bass guitar; Roger Sellers: drums. 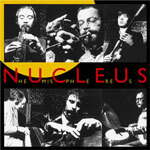 Personnel: Ian Carr: trumpet; Bob Bertles: alto and soprano saxophones, flute; Ken Shaw: guitar; Geoff Castle: keyboard, synthesiser, percussion); Roger Sutton: bass guitar; Roger Sellers: drums.